Brewed in the traditional method, Nouka Genuine Brewed Rice Vinegar from Hotaru Foods is a fundemental ingredient of Japanese Cuisine. 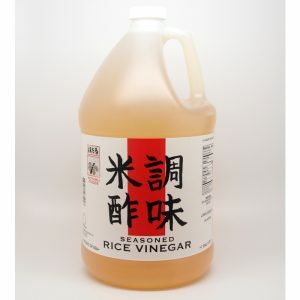 Appreciated for its mild acidity and subtle natural sweetness Rice Vinegar can be used in many applications. All natural and contains no salt or added sugar. 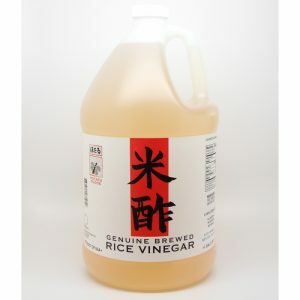 Brewed in the traditional method, Nouka Genuine Brewed Seasoned Rice Vinegar from Hotaru Foods is a fundemental ingredient of Japanese Cuisine. 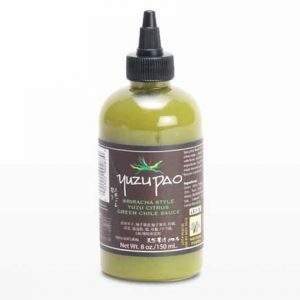 Ideal for seasoning rice or for dressings, marinades, dipping sauces or any application that requires some acidity and seasoning. Ginger Pao is a fun condiment loaded with the intense flavors of the freshest spicy ginger, married with a fermented mash of habenero chilis, carrots, garlic & cedar aged rice vinegar. 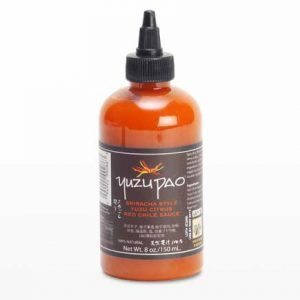 Use it as you would your favorite Sriracha Sauce. 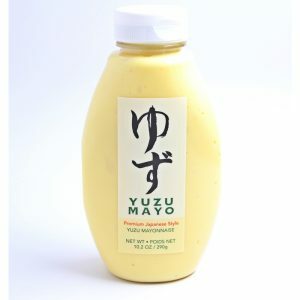 All natural and loaded with Yuzu, Hotaru Yuzu Mayo is a traditional Japanese Mayonnaise, meaning it is dense, firm, rich and luxurious. This is achieved by using high-in-acidity Yuzu Fruit as the acidifier and tons of eggs compared to the common Mayonnaise. This yields a style that is preferred by accomplished chefs. Equally versatile to the Sushi trade or an ambitious young food trucks Tri-Tip sandwich on a fresh Brioche bun, this mayo might replace that Grocery Store brand in your fridge. 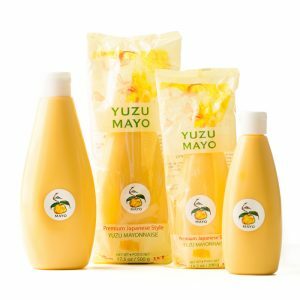 All natural and loaded with Yuzu, Hotaru Yuzu Mayo is a traditional Japanese Mayonnaise, meaning it is dense, firm, rich and luxurious. This is achieved by using high-in-acidity Yuzu Fruit as the acidifier and tons of eggs compared to the common Mayonnaise. 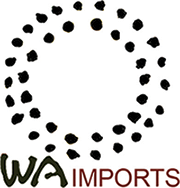 This yields a style that is preferred by accomplished chefs. Equally versatile to the Sushi trade or an ambitious young food truck chef, this mayo might replace that grocery store brand in your fridge.